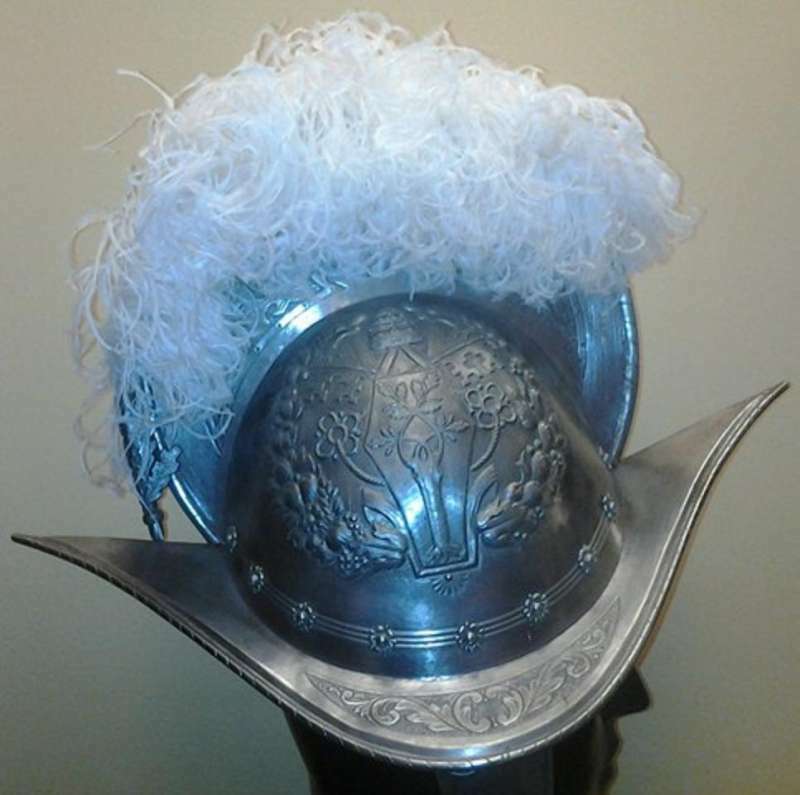 The item presented here is a beautiful Morion style helmet used by the Swiss Guard in service to the Pope in the 1960s. In nearly 20 years of searching for papal items this is the only time I’ve seen one of these helmets available. The white plume along with the red felt interior indicate the helmet was made for the commanding officer. 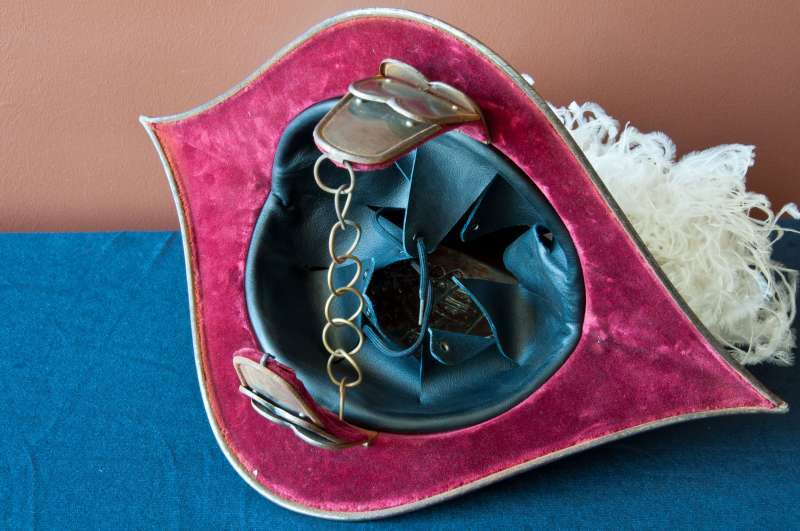 This is the most ornate form of Swiss Guard helmet and was reserved for use at only the most important occasions. Both the first and second pictures of the helmet clearly reveal the coat of arms in the embossing. 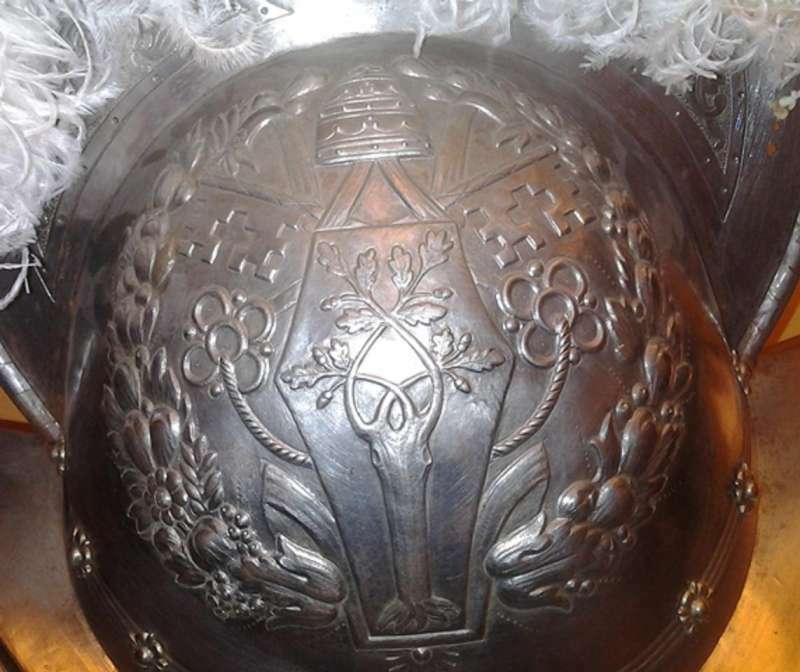 A morion helmet is a type of open helmet used from the middle 16th and early 17th centuries, usually having a flat brim and a crest from front to back. It has been represented in 19th and 20th century book illustrations and in films as well as by the Vatican Swiss Guard. 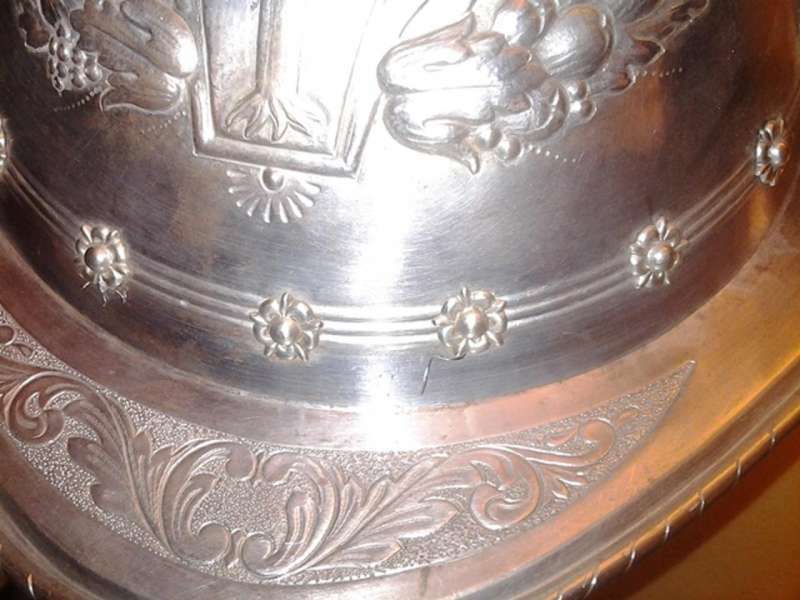 The Papal Artifacts’ Collection includes many artifacts connected to them and may be found on Papal History/Swiss Guard. January 22nd, 1506, is the official date of birth of the Pontifical Swiss Guard, because on that day, towards the evening, a group of one hundred and fifty Swiss soldiers commanded by Captain Kasparvon Silenen, of Canton Uri, passed through the Porta del Popolo and entered for the first time the Vatican, where they were blessed by Pope Julius II. The prelate Johann Burchard of Stras­bourg, Master of Pontifical Ceremonies at that time, and author of a famous chronicle, noted the event in his diary. In actual fact Pope Sixtus IV made a previous alliance in 1497 with the Confederates, which forsaw the possibility of recruiting mercenaries, and he had barracks built for them near where there is, still today, the small Church of St. Pellegrino, in Via Pellegrino in Vatican City. Later, renewing the old pact, Innocent VIII (1484-1492) also desired to make use of them against the Duke of Milan. And Alexander VI also engaged Confederate soldiers during the time of the alliance between the Borgia family and the King of France. While the Borgias were so powerful the so called Italian Wars began in which the Swiss soldiers were always present, in the front line, at times for France, and at others to support the Holy See or the Holy Roman Empire ruled by a German sovereign. When the Swiss mercenaries heard that Charles VIII, King of France, was planning a great expedition against Naples, they flocked to enlist. Towards the end of the year 1494, thousands of them were in Rome, passing through with the French army, which in February of the following year, occupied Naples. 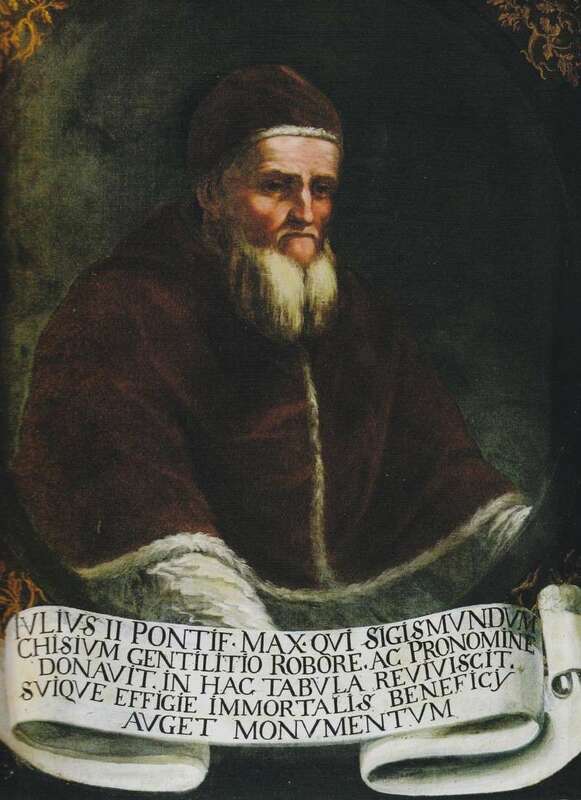 Among the participants in that expedition against Naples, there was also Cardinal Giuliano della Rovere, future Pope Julius II, who under Pope Alexander VI had left Italy and gone to France. He was well aquainted with the Swiss, because some twenty years earlier he had been granted as one of many benefices, the Bishopric of Lausanne. A few months later however, Charles VIII was forced to abandon Naples in all haste and he barely succeeded in forcing a blockade and escaping to France. In fact Pope Alexander VI had connected Milan, Venice, the Germanic Empire and Ferdinand the Catholic to form a barrier against the French. 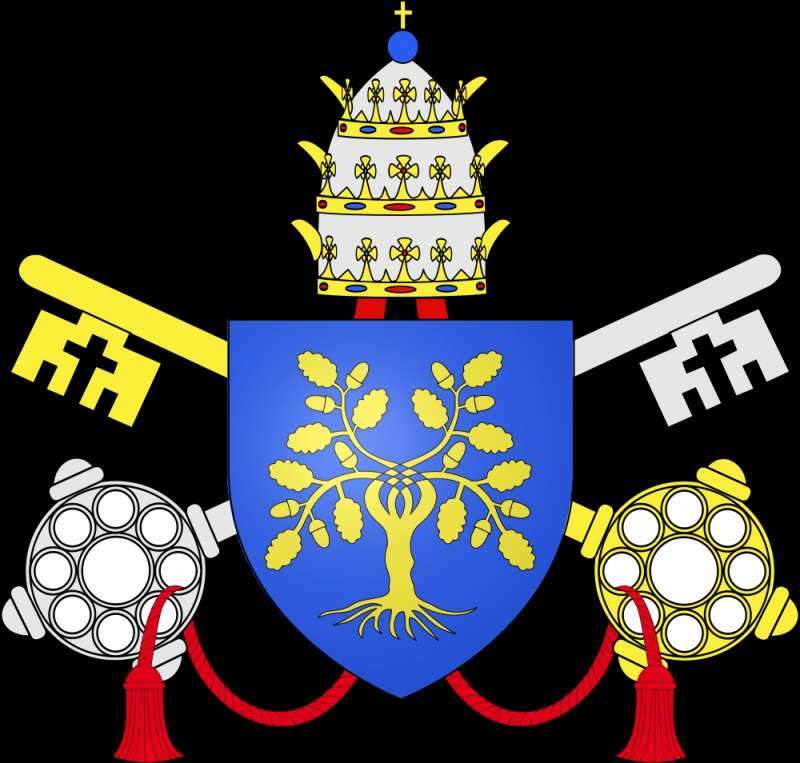 Further information about the Swiss Guard may be obtained by viewing the Papal History/Swiss Guard page on this site. The Collection has many items associated with the Guard, and Father Kunst has maintained a close relationship with Major Peter Hassler, which has allowed him access to the Swiss Guard Armory in the Vatican. The following information is from the Vatican website and provides further details regarding the history of the Guard.